I always seem to sleep badly on a Sunday night – why is that? Luckily I had my wits about me last night and I made a chia pudding to take in to work. Half a cup of raw sprouted oats, 1 tbsp chia seeds, 2 heaped tbsp Co Yo and almond milk, stirred and left in the fridge. 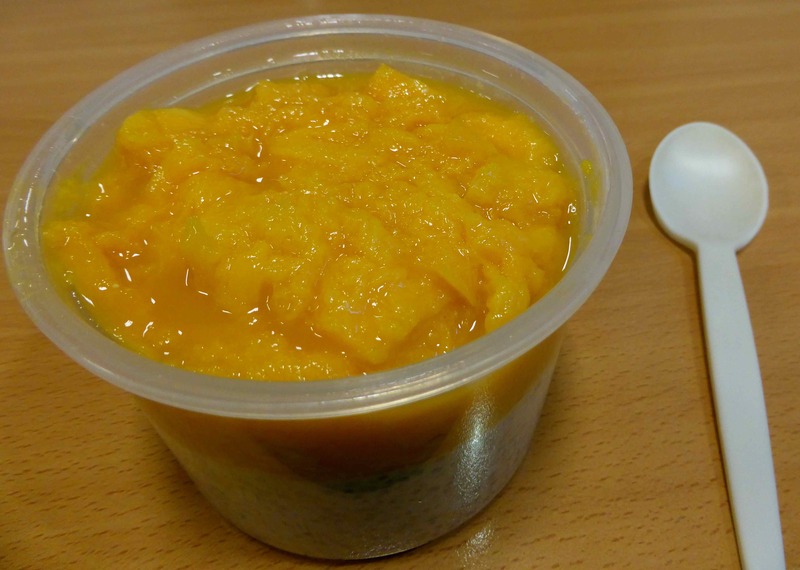 In the morning I added a fresh mango. I love this. 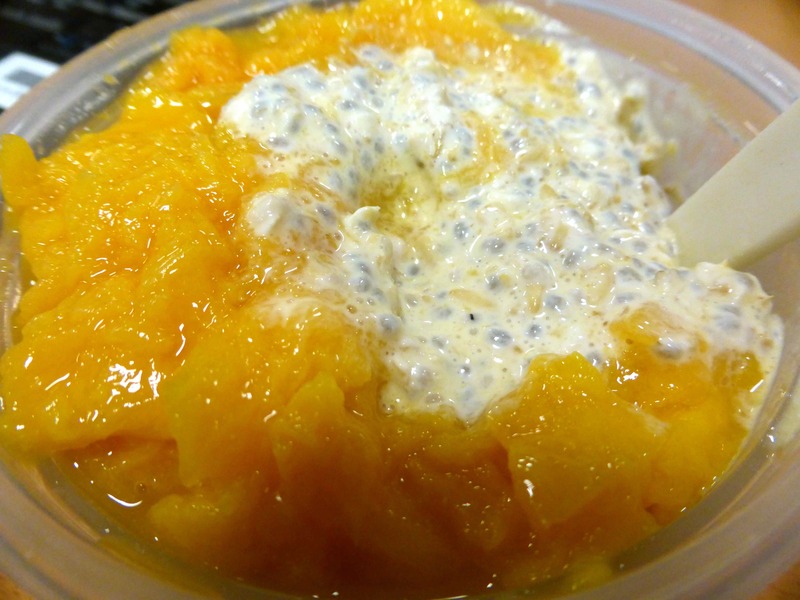 Sweet and juicy fruit and creamy coconutty chia pudding makes a great start to the day. 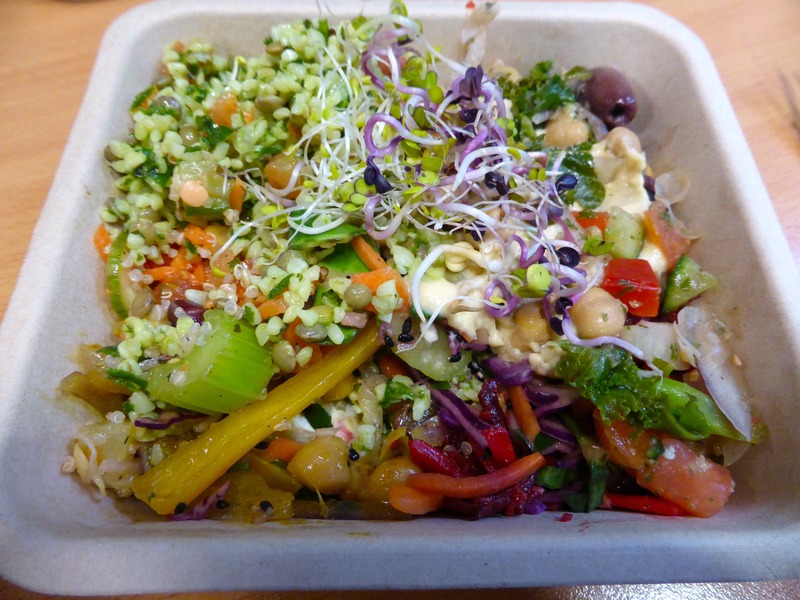 Lunch was a salad bowl from wholefoods. I should have bought a bigger one because I still felt hungry afterwards. 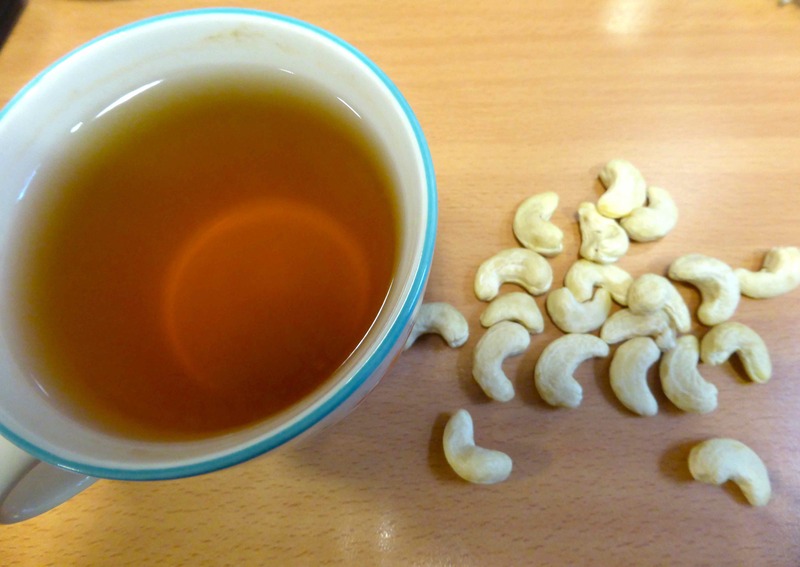 I had some green tea and cashews. 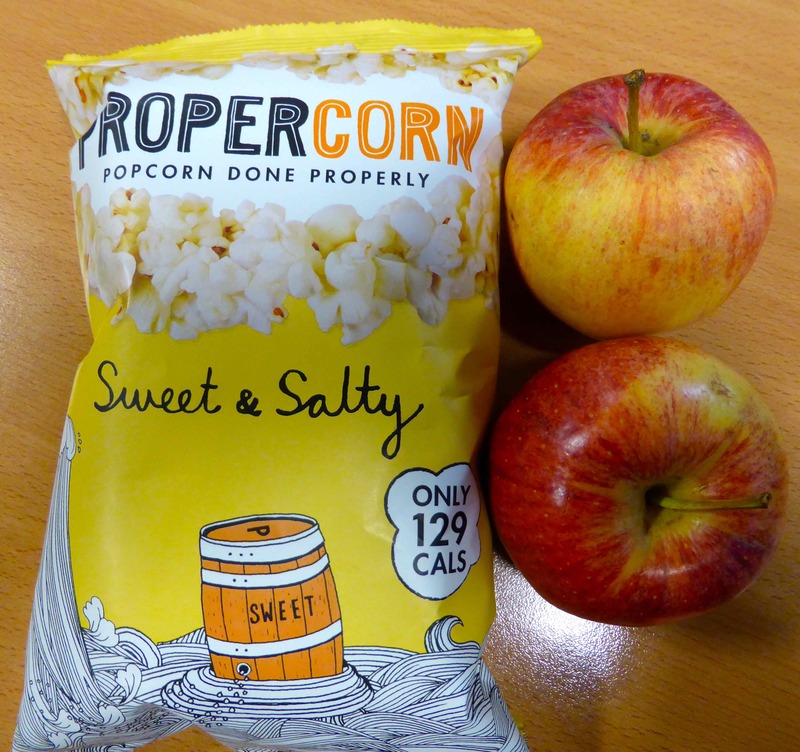 Then some popcorn and 2 apples. This burnt offering was supper. Disasterama! 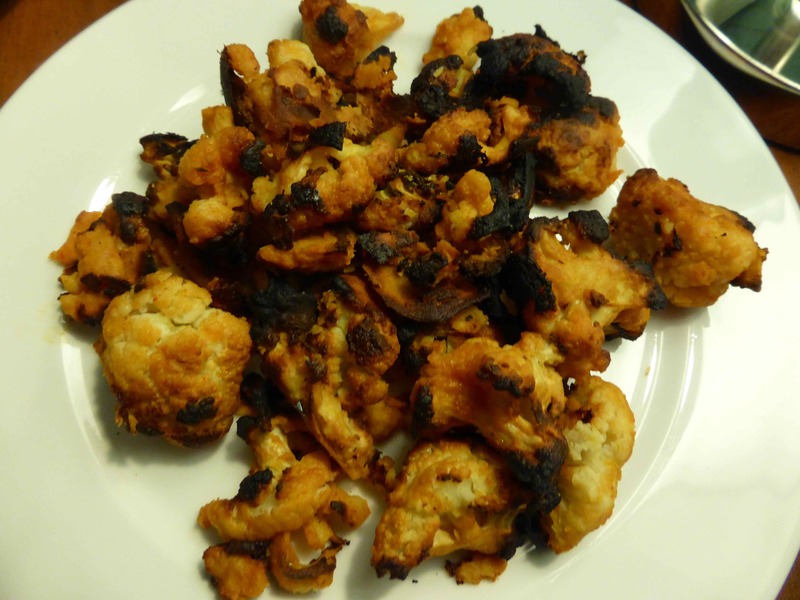 It was meant to be buffalo style cauliflower which I was really looking forward to making but my ‘batter’ slipped off and the cauliflower burnt. I was so disappointed. However, the bits that aren’t burnt tasted good so I shall tweak the recipe and have another go another day. This entry was posted in Uncategorized and tagged Chia Seeds, Wholefoods Market. Bookmark the permalink. Too bad about the cauliflower! Sleep well tonight. I am going to make it again but turn the oven down! I can imagine the taste of it and want to create it. There are quite a few recipes on the internet and they look so good.